A Pakistani woman has been left horrifically scarred after a jealous friend who did not want her to become an air hostess targeted her in an acid attack. 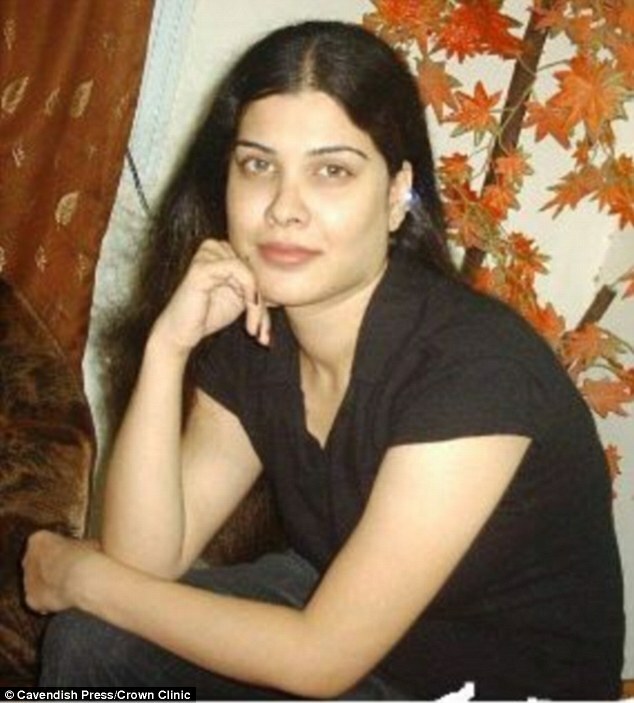 Kanwal Qayyum, 29, was horrifically injured after being doused with sulphuric acid while she slept by a bitter former pal who hated the idea of her bettering herself. She lost her nose in the attack and surgeons have spent the past decade painstakingly rebuilding her features. 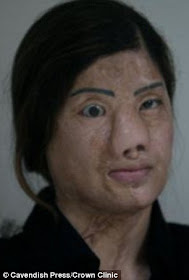 Kanwal has has now shared pictures of her remarkable facial reconstruction after medics completely rebuilt her nose using tissue from her thigh. The photographs show the extraordinary transformation in Kanwal's appearance since the attack ten years ago as surgeons have rebuilt her face and created a new nose for her.